Why do so few renters have insurance? They feel it’s not important, because they don’t realize the value of their personal property and what it would cost to replace it in the event of loss or damage. They don’t realize that if someone is injured while in their living space, they could be found liable, and could actually be sued. Many renters feel they can’t afford it. 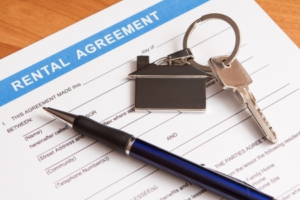 They may also not think of the fact that if they cause damage to their space or another tenant’s space or property, they would be liable for those damages. As you can see, Renter’s Insurance is very important! There are good reasons why Renter’s Insurance is a great investment. It can protect you financially in the event of loss of possessions due to such things as a burglary, vandalism, fire, smoke damage, water damage (does not include flood damage), or storms. It can cover the gaps that are left by other policies. 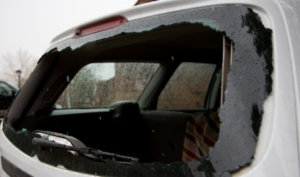 For example, although your auto insurance will cover the broken window, it may not cover the laptop that was stolen when your window got broken. It can cover additional living expenses such as hotels and food, in the event that your apartment is damaged and you must leave it and stay somewhere else. Your landlord may require that you have Renters’ Insurance. Each person’s needs are different, so policies can be different too. Contact Whitcomb Insurance Agency today, we’ll be happy to help you choose the policy that is not only right for you, but will let you rest assured that you are well-protected.